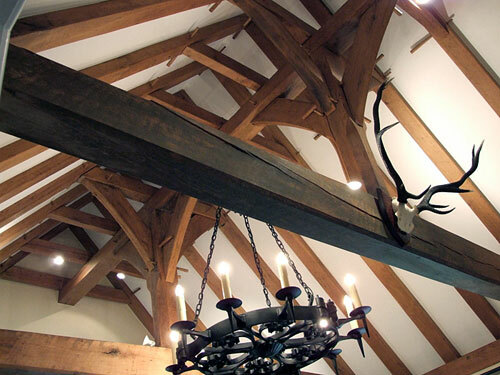 Oak Framing, Jameson Joinery is an oak framing manufacture company for corporate or private clients in the UK Sussex including London, Horsham and all the other surrounding areas. 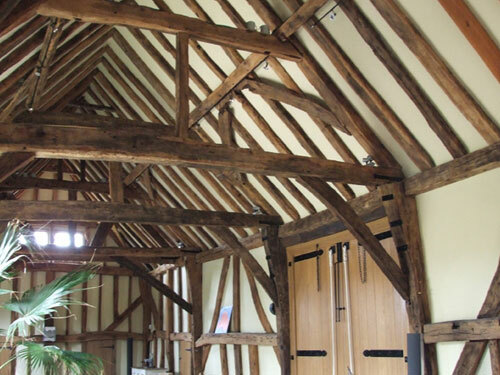 This is a barn converted to a party room where old timbers have been used to repair the structure. Oak doors and double glazed windows have been fitted. Crown post roof constructed for a dining room in Green Oak. There are no metal fixings, traditional tapered dowels being used throughout. 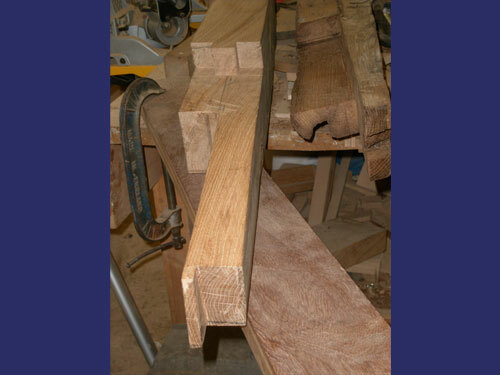 Detail of jointing for an oak porch. 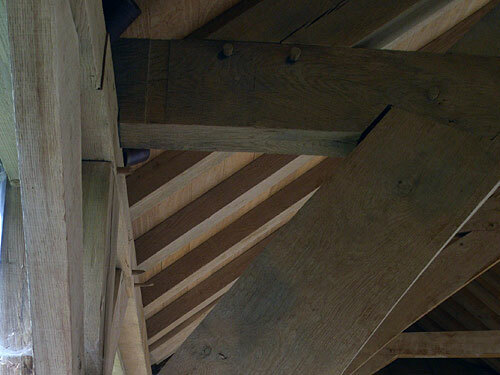 Another view of a Crown Post roof. 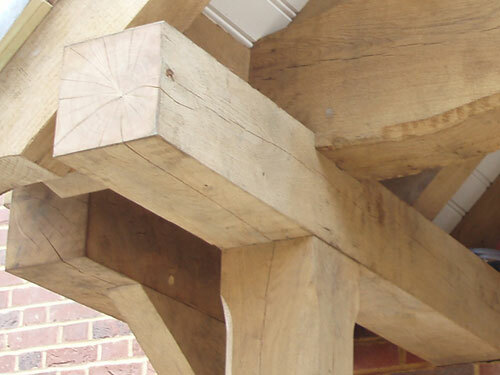 Detail of a brace tie beam in an oak framed swimming pool building. 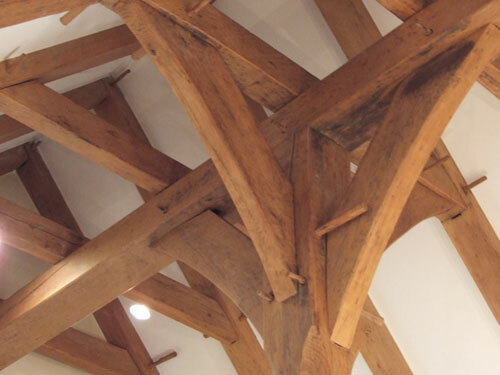 Hand cut splicing detail used in the repair of a medieval oak framed shop. The building was dismantled for repair at our works and then retruned to site.